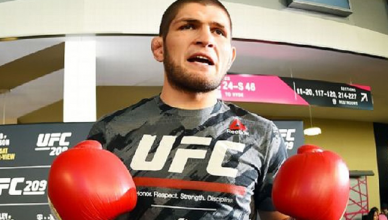 Khabib Nurmagomedov (born September 20, 1988) is an undefeated Russian mixed martial arts (MMA) fighter. He is a two time Combat Sambo World Champion, a wrestler and also a judo black belt who currently fights in the Lightweight division of the Ultimate Fighting Championship (UFC). He currently holds one of the longest undefeated streaks in MMA with 24 consecutive wins. His next fight should him cement him as the top lightweight contender. 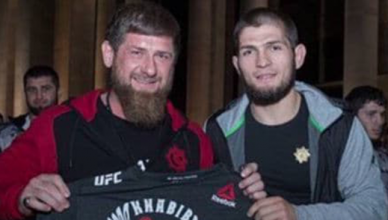 Khabib is also a massive star in his home country with millions of fans fully supporting him during his quest for the title. 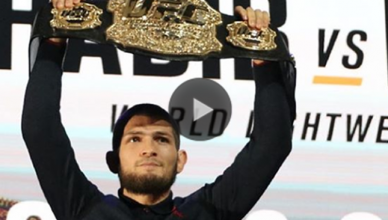 The Khabib Nurmagomedov bear video that went viral also helped make him one of the biggest stars in the UFC. 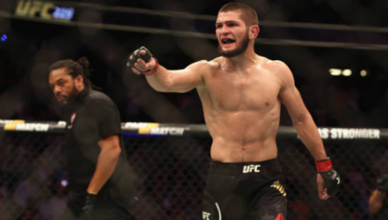 Khabib Nurmagomedov wife gave birth to his second child the night of his co main event against Edson Barboza at UFC 219. 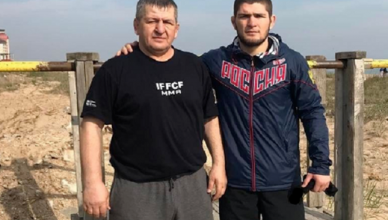 There are very few photos of his wife as Khabib keeps his personal life very private. The “Khabib bear” video? 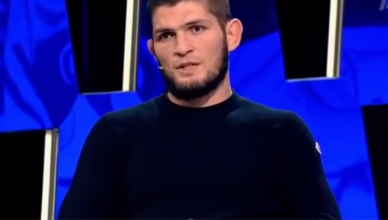 One of the most viral videos in MMA has to be Khabib wrestling with a bear as a young boy. The video has millions of views and brought to light just how he was brought up by his father. 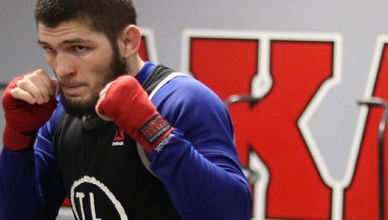 Khabib record in MMA is one of the most impressive in history. The top ranked lightweight boasts an unblemished 24-0 record. 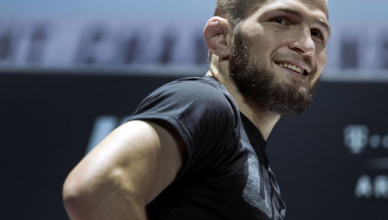 Notable fights were Khabib Nurmagomedov vs Rafael dos Anjos, along with his recent win over Michael Johnson. 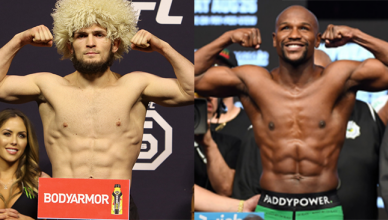 However, the fight fans are currently clamoring for is Khabib Nurmagomedov vs Tony Ferguson or possibly Khabib Nurmagomeov vs Conor McGregor. The next fight for Khabib Nurmagomedov is Edson Barboza who he faces at UFC 219.